Tags: Anarkali, Churidar Pajama, Frock, Mehndi Green, Mehndi Mayon Henna, Shocking pink. 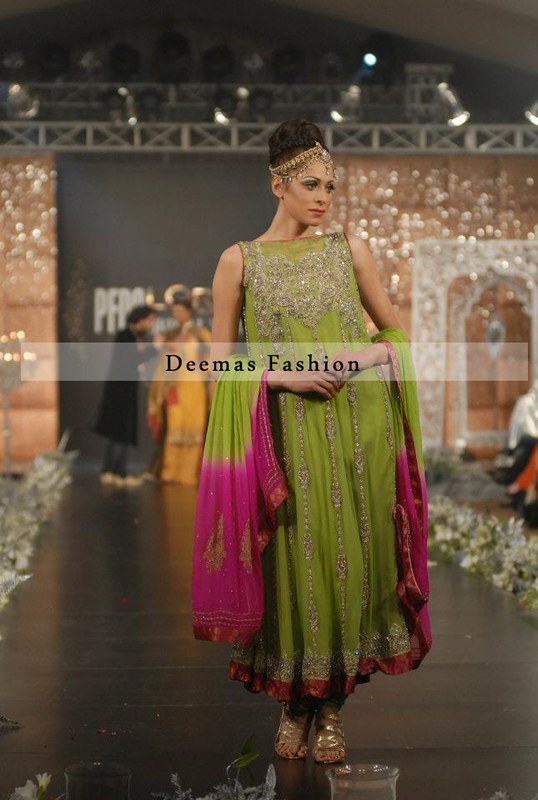 Mehndi green pure chiffon anarkali frock with shocking pink churidar pajama. Frock features embroidery on bodice and hemline. Two tone pure chiffon dupatta. Dupatta having four side border. Crystal stones scattered all over the dupatta.